They were created 20 years ago, 50 years ago or even millennia ago. They are the symbol of a city or perhaps a country. 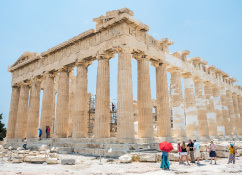 Discover the most beautiful statues in Europe, from the Little Mermaid in Copenhagen to Romulus & Remus in Rome or the rock sculpture of King Decebalus in Romania. 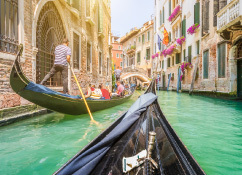 Discover the most beautiful statues in Europe and book today your flight tickets, your hotel and your best things to do in Europe. The Cristo Rei is one of the symbols of the city of Lisbon. In fact, this statue built on the model of the famous statue of Rio de Janeiro is not located in Lisbon but in Almada in the region of Sétubal. The statue is one of the highest monuments in Portugal at 110 m high and it took 10 years (1949-1959) to erect. 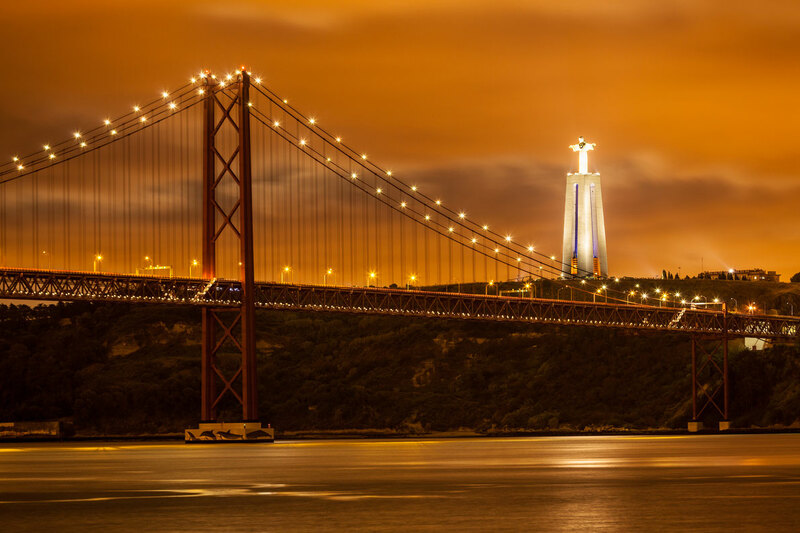 Come and discover this iconic statue by booking your plane tickets and your hotel and your best things to do in Lisbon. For a 5 star city break we recommend the hotel Olissipo Lapa Palace, the favourite hotel of singer Sting. For smaller budgets we advise you to stay at The Hub Lisbon Hostel. 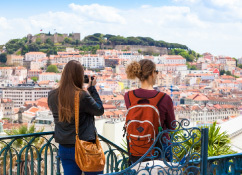 We offer more than 970 hotels and apartments at the best price in Lisbon. Make your choice and discover the capital of Portugal. Just like Cristo Rei in Lisbon, it took 10 years to sculpt this incredible 40m high statue. Let yourself be penetrated by the profound gaze of "Decebale", the last king of the Dacians who lived in the 1st century AD. 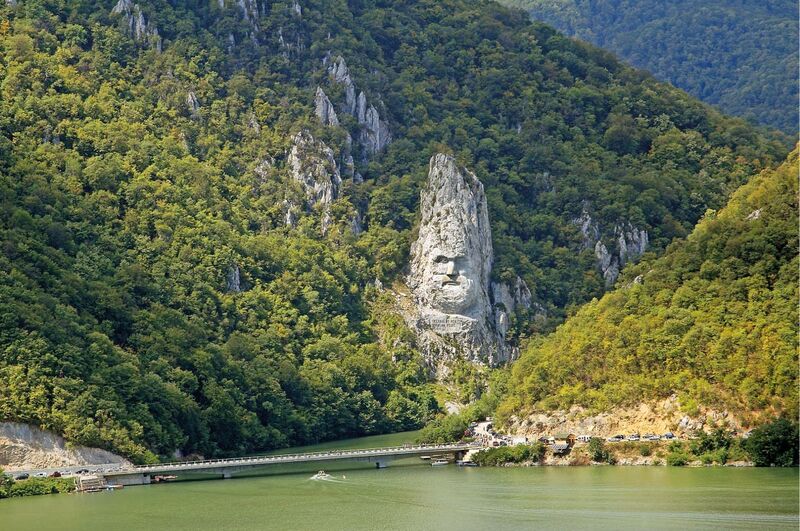 Today he keeps watch at the entrance to this river on the border between Romania and Serbia, just as he once protected his country from the Roman invaders. Monumental works are nowadays rather rare but this one is very recent since it was commissioned by a billionaire in 1993. Hurry if you want to see this monumental work because it is fast eroding and the nose of the famous king is already threatening to fall into the river. Its owner, now deceased, was very controversial especially for his nationalist views. Sadly, the most monumental works are sometimes those of the worst men. Book your hotel and your best things to do in Romania such as a full-day tour of Dracula's Castle. Did you know that the little mermaid from Copenhagen has something in common with the ugly duckling? Both are creations of the Danish novelist Hans Christian Andersen. Although Andersen was mocked during his lifetime by his contemporaries, he still enjoyed success at the end of his life, especially with his children's stories. 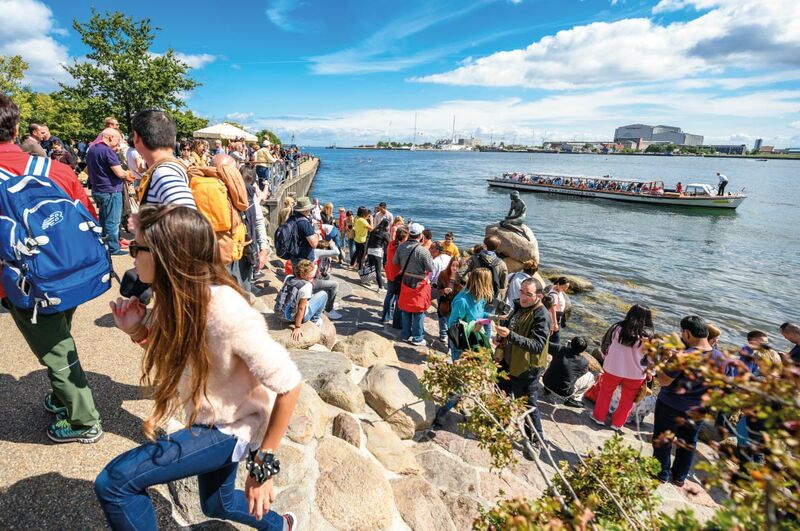 This little mermaid, now Copenhagen's main tourist attraction, is steeped in the history of the city. It was inspired by Andersen who was a native of Copenhagen and it was financed and commissioned by the son of the founder of the Carlsberg breweries. Sorry to disappoint you but the statue you will see is a copy, the original being kept safe to avoid the same fate as other copies which have been repeatedly decapitated. 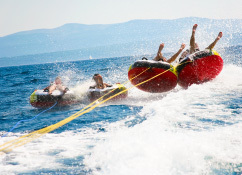 Book your hotel, apartment, guesthouse at the best price guaranteed in Copenhagen as well as your best things to do in Copenhagen such as a 1-hour canal cruise from Ved Strand. This sculpture was created more than 600 years ago and millions of us still see it as the perfect body. This sculpture was first made famous thanks to the notoriety of the sculptor, Michelangelo. As we all know, David is the hero of the legend "David & Goliath" this young man who with a simple sling manages to defeat the giant Goliath. Some copies can be seen at different places in Florence but the original is on display in the Galleria dell' Accademia in Florence. Book your hotel today at the best price in Florence. We advise you to stay at the Bsl Boutique Suite, a beautiful apartment perfect for a family holiday or a romantic stay in Florence. 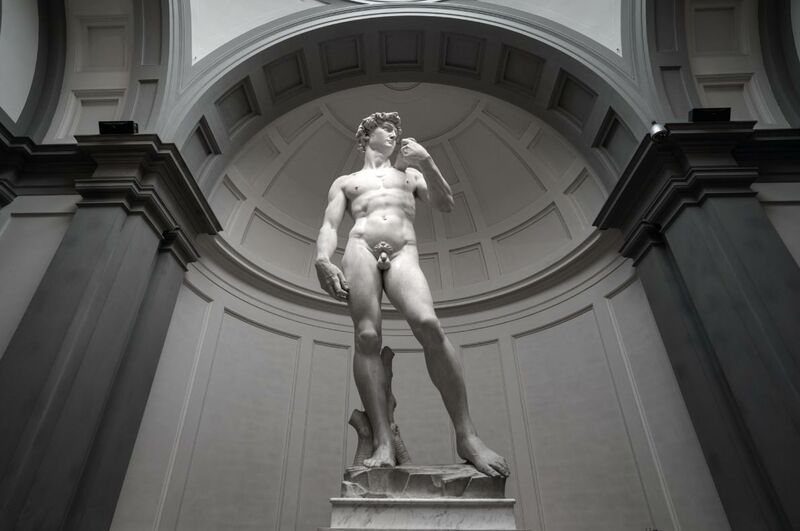 Also book your best things to do in Florence such as a visit to Michelangelo's David. This statue made in 1903 is at the Rodin museum in Paris. This is not the most famous museum in the French capital but it is one of the most pleasant and interesting ones. Originally the statue was much smaller, 70 centimetres, and was called "The Poet". 8 years after its creation it was enlarged to its present size (1m 80) and has quickly become one of the most famous statues in the world. 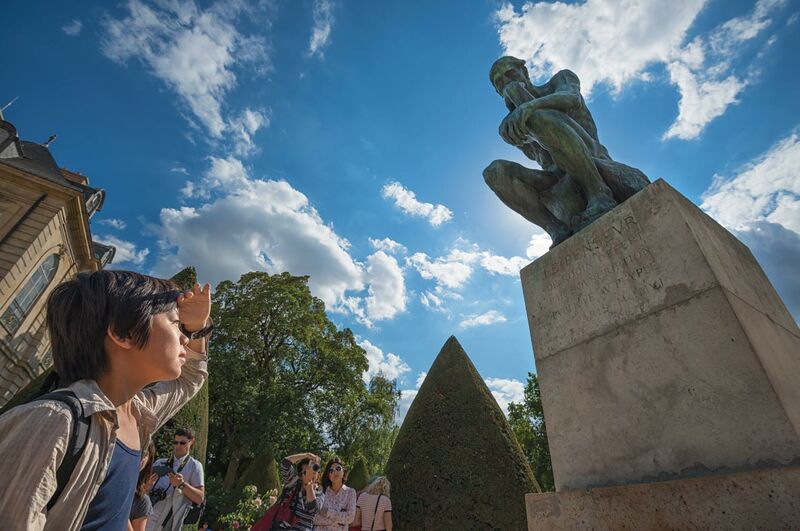 Book your best things to do in Paris and take a Rodin Museum guided tour and book your hotel at the best price. We advise you to stay at the Narcisse Blanc Hotel & Spa located just a few metres from the museum in the very chic and beautiful 7th district. You all know the legend of Romulus and Remus, the twin brothers abandoned by their parents and fed by a wolf who suckled them. This hard upbringing enabled them to embark on major projects including the foundation of the city of Rome. Fancy a drink of wolf milk? If they are safe and sound it is not only thanks to this wolf but also to a woodpecker which watched over them. Whether you believe in the legend or not, you will appreciate the symbol of the city of Rome at the Capitoline Museum. You can also see in the square Paul-Painlevé, a copy offered by the City of Rome to the city of Paris. Book your hotel at the best price in Rome as well as your best things to do in Rome. The Venus which represents the goddess Aphrodite and is known worldwide can be seen in the Louvre Museum in Paris, It is called "De Milo" because it was found on the Greek island of Milos in the 19th century. The Venus was discovered by a peasant who was digging his field in search of suitable stones to build a wall. Book your hotel at the best price in Paris and go and admire the Venus de Milo. You can also book your holidays for the island of Milos. You are on the Grand Place of Brussels (Market Place), one of the most beautiful Grand Places in Europe, desperately looking for the famous statue of Manneken Pis. Don’t worry, you are not the only one asking: “but where is the little boy hiding?”. Stand in the middle of the Grand Place, look to your left and to your right and observe where the tourists are going. They all leave in the direction of this tiny statue located at the crossroads of "Rue de l'Etuve" and "Rue du Chêne". Legend has it that this brave little boy saved the Grand Place from destruction. When Napoleon's troops threw a bomb on this magnificent place, this brave young boy decided to pee on it to extinguish it and so the Grand Place of Brussels was saved. This lovely legend is but a legend since the statue is older than Napoleon and dates from 1620. 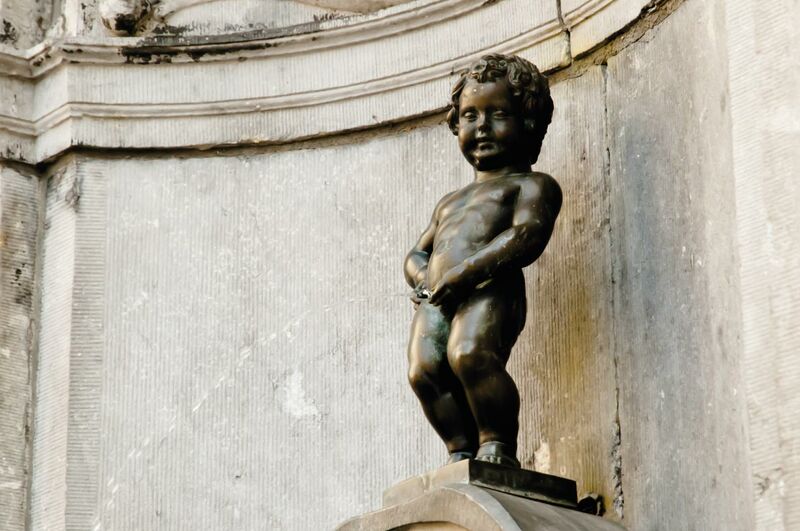 It is probably a mix between Greek-Roman influences and the famous Brussels’ sense of humour. For an unforgettable stay in Brussels book your hotel at the best price, we recommend you to stay at the hotel "The Hotel", where Barack Obama stayed. Closer to the city centre we also recommend the hotel NH Collection Brussels Grand Sablon. Book your best things to do in Brussels such as a 3-hour Belgian Beer tasting experience. 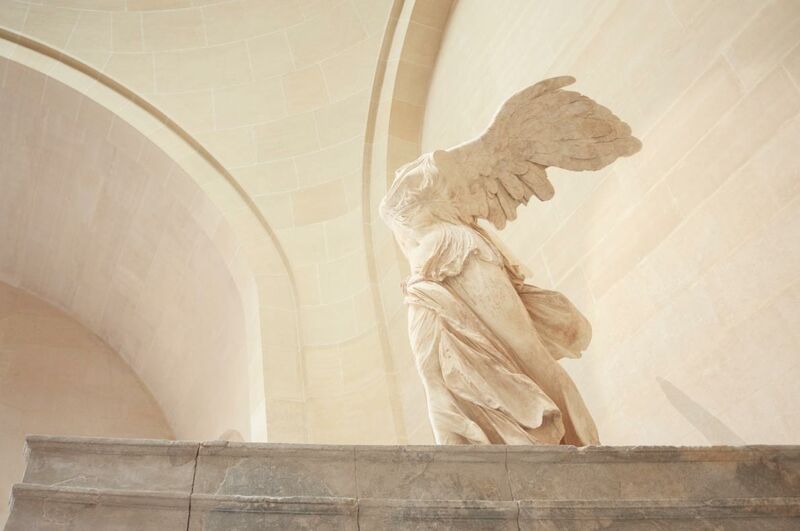 Whereas the Venus de Milos’ arms are missing, the Victory of Samothrace has been decapitated for centuries. It was not vandalised but arms and heads are fragile parts of a statue. This one was discovered on the island of Samothrace and is also on display at the Louvre Museum in Paris. It represents the goddess of victory "Nike" of the same name as the famous brand of shoes symbolized by a wing, which is carved on the statue. It is a work of art of great precision and technical feat. Book your hotel at the best price in Paris and your best things to do in Paris. We advise you to stay at the Hotel Regina Louvre located a few minutes’ walk from the Louvre Museum. 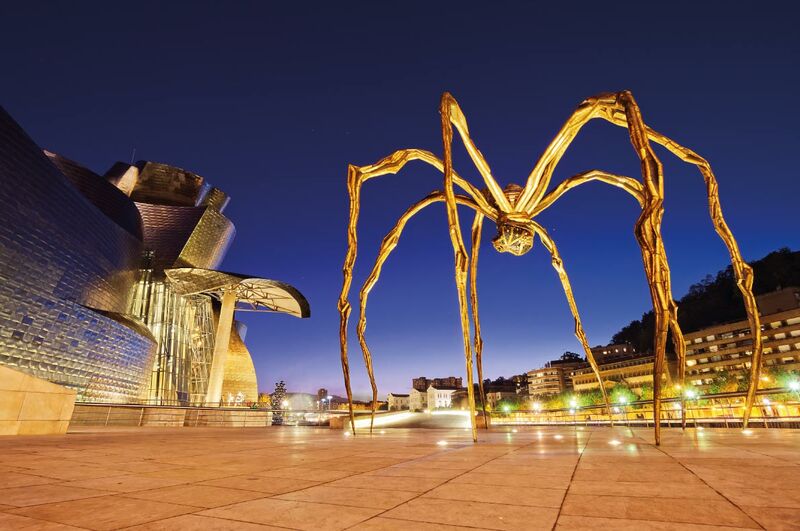 This sculpture, both ferocious and sweet, of a huge spider carrying its little eggs, is the work of the French genius Louise Bourgeois. This elegant and talented lady put a great deal of poetry into her work which can be seen in many cities around the world. "Maman" (mother) dedicated to her mother has been produced in several copies at the Tate Modern in London, the Guggenheim Museum in Bilbao and the Hermitage Museum in Saint Petersburg. 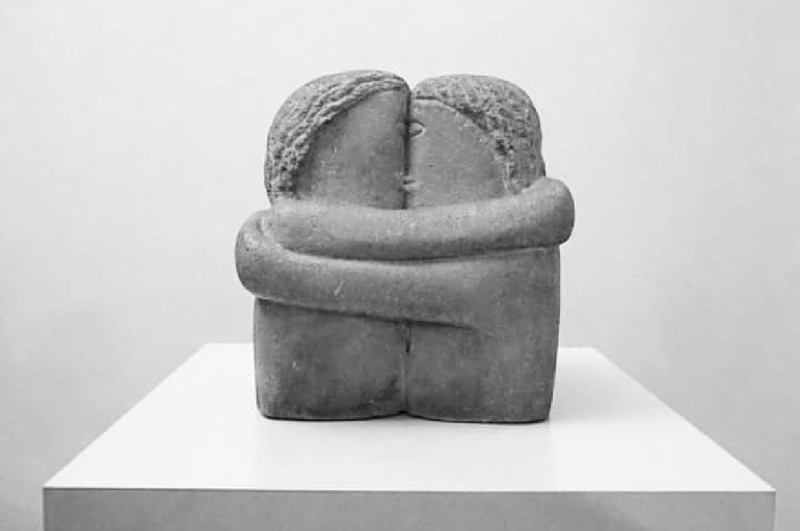 Choose the city of your choice and come and admire one of Louise Bourgeois's latest works.